The NAWBO Spring Membership Drive runs from March 1 - April 30 and the Fall Membership Drive runs from September 1 - October 31. Join or renew now and save! New Members – SAVE $25 off your new member initiation fee – Normally $100, only $75 during the membership drive. Returning Members – $25 Reinstatement Fee Waived for any former NAWBO members who rejoin during the membership drive. 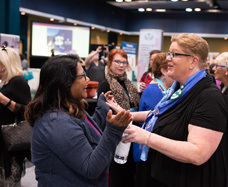 NAWBO is a powerful resource for connecting and building long-term relationships with other women entrepreneurs from a variety of industries. Ours is a community of support, advice, recognition and celebration – with a 40-year history of excellence and progress. Looking for a solid return on your membership dollar and time investment while promoting and supporting the women-owned business community? NAWBO is your best choice! Make the most of your membership – GET INVOLVED! Each member of the Board of Directors has a committee that she works with and depends on throughout the year. Below is a list of committees along with their volunteer opportunities. We encourage you to find a committee that fits you personally and send an email to Suzanne Lanctot to get signed up. Assists in developing relationships with organizations in the Phoenix area for growth of both organizations; represent NAWBO at community events, functions and trade shows. This dynamic team assists in recruiting and retaining corporate partners. Be a part of the team that creates the welcome meeting, happy hours, membership opportunities, guest tables and other fun programs. Help new members get acquainted with NAWBO. Be part of the welcoming team that sets the mood for our members and guests as they enter each event. Passionate about education, training and growth? This team plans the educational workshops that are held prior to the monthly luncheon. Establish and/or support a Neighborhood NAWBO - Small groups that meet around the valley. Like to plan events? This committee secures the speakers and any special activities for each of the monthly luncheons. Assist in planning and executing the annual Red Affair luncheon, the annual Desert Diamonds Awards Gala and community service Projects. Do you want to hone your leadership skills? Do you want to increase your exposure to the business community in metro Phoenix? Do you want to take our chapter to the next level? Serve on the NAWBO Phoenix Board of Directors. 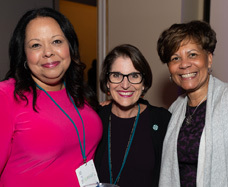 Strong business leaders are at the core of NAWBO’s success, helping us propel women entrepreneurs into economic, social and political spheres of influence and power worldwide. The 2018-2019 NAWBO Phoenix fiscal year starts in July. The leadership team is forming now! Executive Board, Board Member, Committee Chair and Committee Member positions are open and waiting for those who would like the an opportunity to increase their involvement and develop their leadership capacities. If you have ever considered expanding your NAWBO experience, NOW is the time! Check back soon for the Call for Nominations for 2018-2019. Eligibility: Any Active Member who is an Established Business Owner or Premier Member in good standing. Duties: This is a one-year term. This position shall assist the President in fulfilling the duties of that office and shall serve on the President's Assembly. This officer will assume the duties of President in the following year. Duties: This is a two-year term. This position keeps an accurate record of the proceedings of the Executive Committee and Board meetings and maintains the records of the Chapter. Duties: This is a one-year term. This position acts as a mentor to those transitioning on to the Board, supports the President and President-Elect in creating and executing the strategic planning elements of their roles and serves as a liaison between the Board and the association management company. Duties: This is a two-year term. Board members shall be entrusted with the fiduciary and management responsibility of the Chapter. 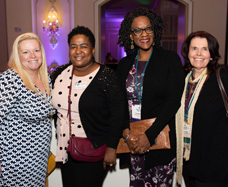 Board members sustain a strong vision and strategy for the Chapter, develop and implement policies, and ensure accountability, financial stability, organizational effectiveness and member value.